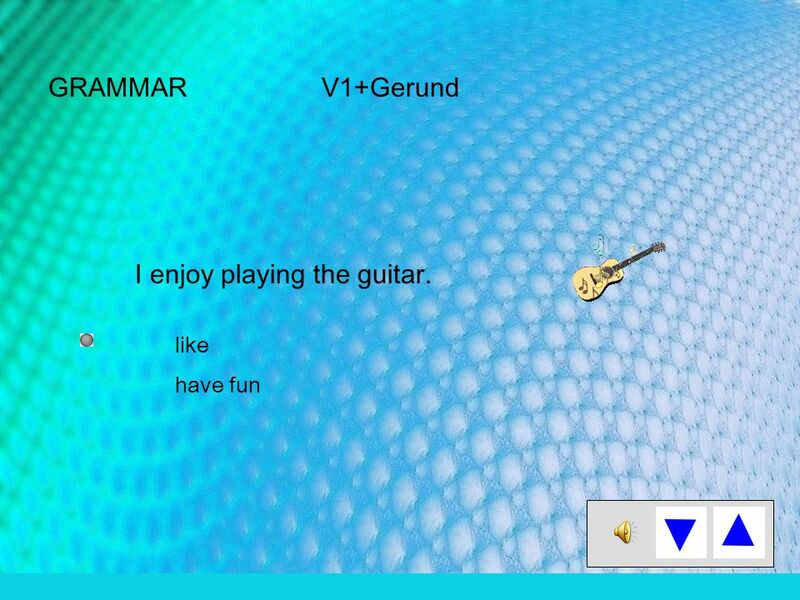 GRAMMAR V1+Gerund I enjoy playing the guitar. like have fun. 5 HearSeeFeelsmell + object + gerund I can see the snake moving. I can feel the wind blowing. I can hear the train coming. I can smell the dinner cooking. We felt the wind blowing. I can see him moving in the background. I hear him coming. He smells the fire burning. Download ppt "GRAMMAR V1+Gerund I enjoy playing the guitar. like have fun." Dragana Filipović. FORMS OF THE INFINITIVE ActivePassive Present(to) play(to) be played Pres. Cont. (to) be playing/ Perfect(to) have played (to) have. Infinitives. A. Infinitives as subject: e.g. To sleep a few minutes longer wouldn’t hurt, would it? B. Infinitives as object: e.g. I want to go home now. Infinitives are formed with TO : to walk, to talk, to think, to listen Here is a brief review of the differences between gerunds and infinitives. 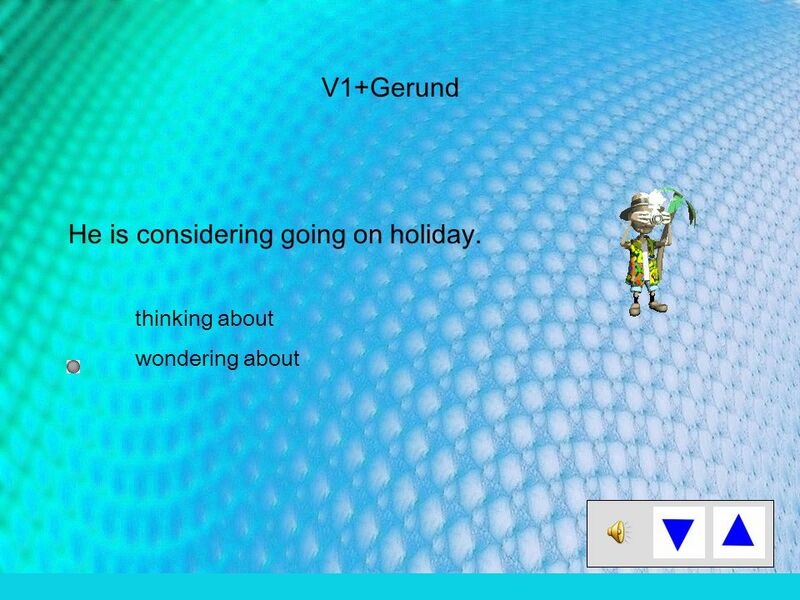 Gerunds. Infinitive Vs. Gerund. Infinitive Infinitive with to is used: 1.To express purposes or intentions: e.g. : She went to bring some food./ He bought some. Lecture 15 Expressing Likes and Dislikes. Review of Lecture 14 In lecture 14, we learnt how to – Differentiate between fiction and nonfiction – Analyze. 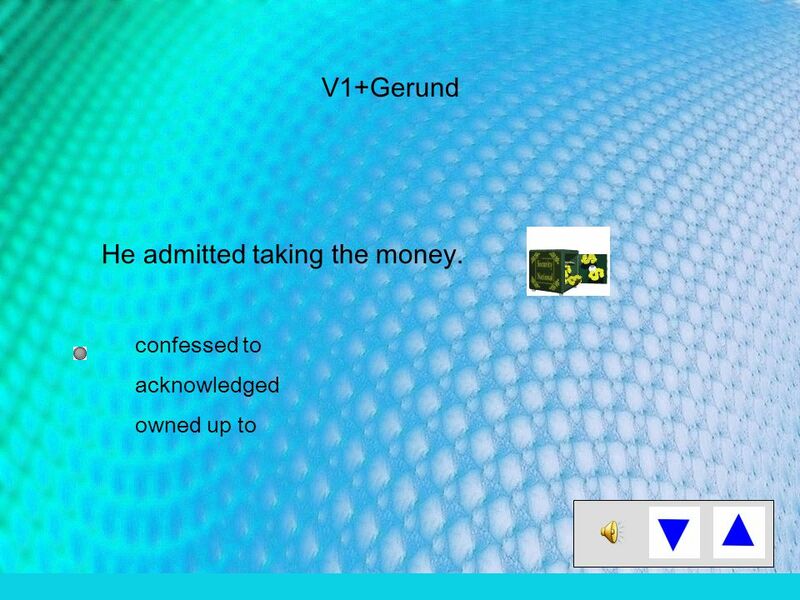 GERUNDS 1. AS A NOUN: (subject or object) Swimming is a very good form of exercise. I have some shopping to do this afternoon. Gerunds and Infinitives.  A gerund is a noun made from a verb by adding "-ing." You can use a gerund as the subject, the complement, or the object of. How to choose the right one.... Gerund or Infinitive ? Gerunds 動名詞 & Infinitives 不定詞. Bare Infinitive, Gerund, To-Infinitive Bare Infinitive: Infinitive without “ to ” play e.g. I see him play basketball every. Verbs - Gerund or Infinitive.  Gerunds and infinitives are forms of verbs that act like nouns. They can follow adjectives and other verbs. Gerunds can. GERUNDS(İsim Fiil) By Sezgi Özer. What is the gerunds? A verbal that ends in -ing and functions as a noun. 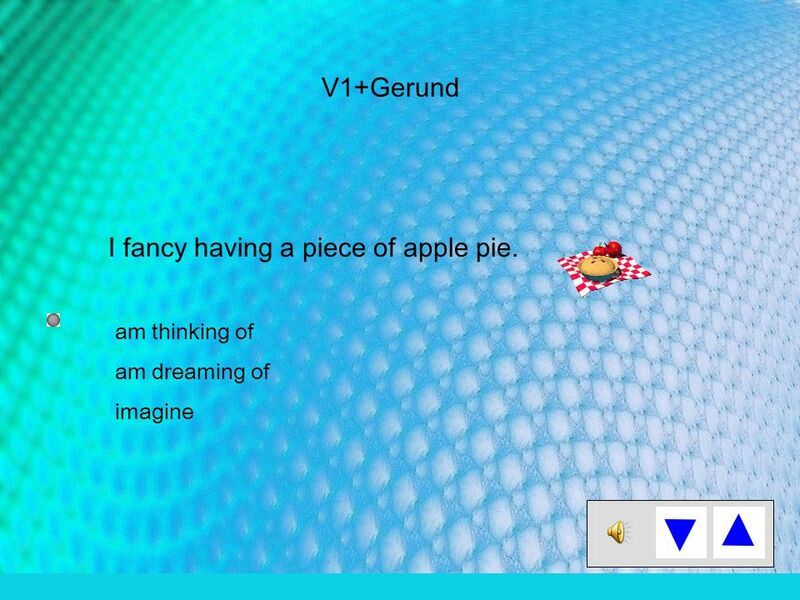 A gerund with its objects, complements, and.